It's finally here! Available on Apple Music, iTunes, Spotify, Amazon, etc. Many of you have supported us and already bought the CD, but now you can share the music with all your family and friends that don't have a CD player anymore. Haha! Today the Venice Paparazzi spotlight shines on local legends, Venice The Band, as told by Michael Lennon. You can read the interview right here. 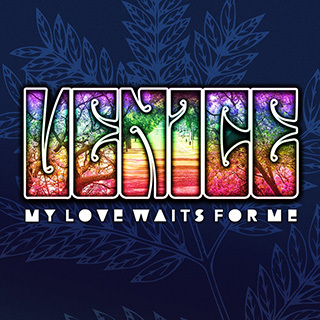 We are thrilled to announce the worldwide release of our first single, "My Love Waits For Me", from the upcoming Venice album "Jacaranda Street". Although some of you were able to hear the single online in the Netherlands, and many more were able to hear it live and purchase an advance copy of the new album during one of our 2018 live shows, we have redesigned the packaging in preparation for the worldwide release. 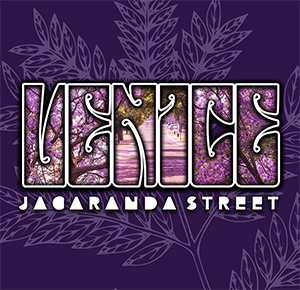 The new edition of the Jacaranda Street CD has all new artwork and will include a booklet with photos and lyrics....as many of you have requested. We have just arrived in The Netherlands for some very cool summer shows this week! 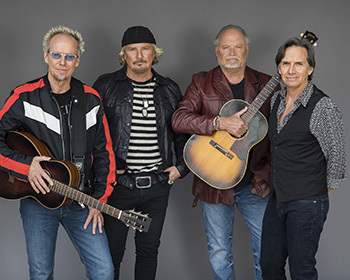 There may still be tickets available for these 2 Venice shows, plus the bonus show "Venice presents: The Pine Mountain Logs", if you haven't already purchased your's, check the links below. Venice NL Theater Tour this FALL! We are excited to announce that Venice will return to the Netherlands and Germany this November/December 2018! This will be a full band theater tour with one Venice Christmas show in Apeldoorn. We hope you've had a great summer so far. We have lots of upcoming shows to help you do just that.